LEARN the verbal secrets of the wittiest character EVER on television, such as storytelling, metaphoric speaking, play on words, and so much more! The Hank Moody Guide To Wit will NOT be sold to the public. You must be on this e-mail list to purchase this course. You will be notified as soon as the course is available! 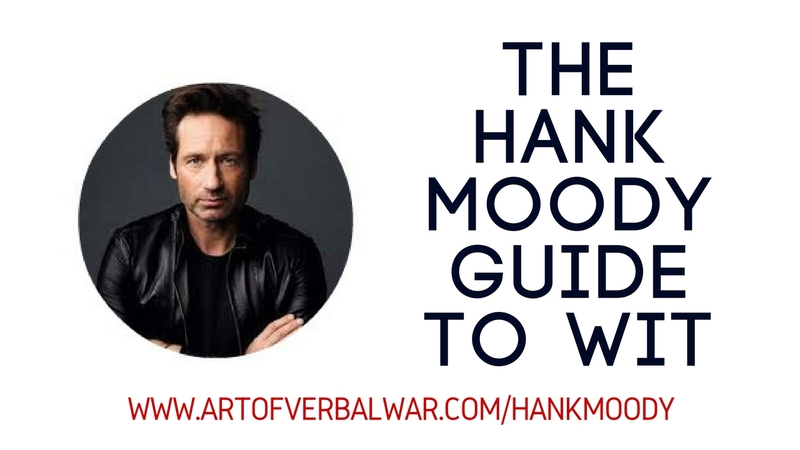 SIGN UP below to be notified AND receive a FREE preview of The Hank Moody Guide To Wit! ($19 value)! YES! GIVE ME MY FREE PREVIEW NOW! 100% private. While we love to eat spam when the doctor permits, we abhor spam e-mails. Copyright © 2016 Art of Verbal War. All Rights Reserved. Hank Moody and Californication are trademarks of their respective owners.